Posted on 29, January 2019 by EuropaWire PR Editors | This entry was posted in Internet & Online, Marketing, News, Spain, Travel, United Kingdom and tagged beach holidays, best value beach destinations in Spain, budget travel, cheapest Costas, Costa Blanca, Costa Calida, Costa de Almeria, Costa de la Luz, Costa del Azahar, Costa del Sol, Costa Dorada, Costa Tropical, holiday rentals, holidaymakers, Jannich Petersen, most expensive beach destinations in Spain, most expensive Costas, Nicola Erlich, peak summer season, self catering, self-catering holiday, shoulder season, Spain, Spanish Costas, Spanish summer holiday, summer 2019, summer holiday, summer holiday in Spain, tourist attractions, travel, travel hacks. Bookmark the permalink. 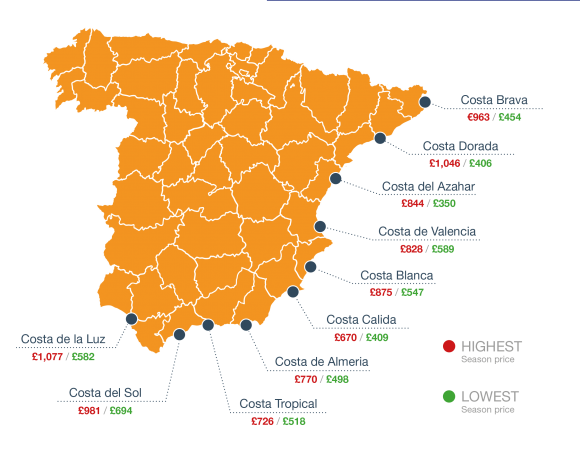 MALAGA / LONDON, 29-Jan-2019 — /EuropaWire/ — As the dark mornings and nights drag on, it is no wonder that January is the busiest month for booking a summer holiday. Flexible travel dates can reap the biggest bargains. 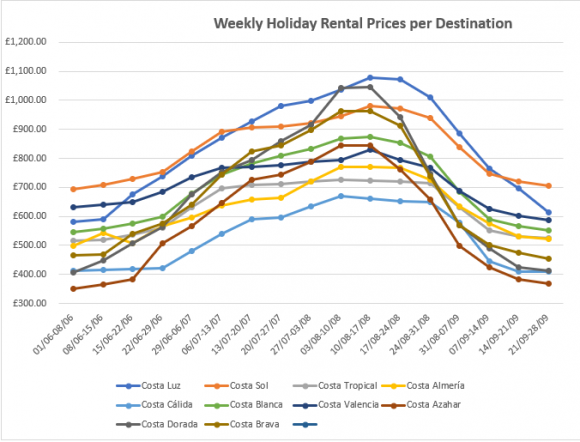 According to the Holiday Rental Prices Report published this week by Spain-Holiday.com, just two weeks either side of the peak of high season in August can see prices drop by an average of up to 28%, with massive savings of over 60% to be found during the months of June and September. 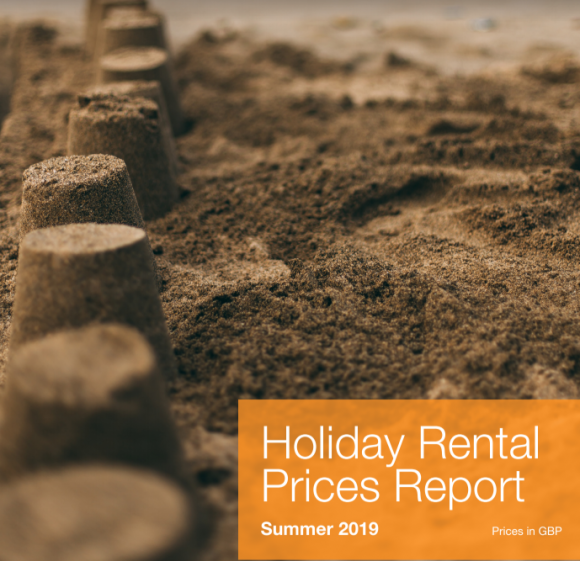 “The difference of a couple of weeks either side of peak season, and just a few degrees in temperature can add up to as much as 61% savings on peak season rates”, advises Jannich Petersen, COO Spain-Holiday.com.